Note: Due to an unexpected week’s delay in China’s box office reporting, we’re just now putting out the report for the week ending January 22nd, with the report for the week ending January 29th to come shortly. We can only speculate as to why China’s box office numbers were delayed last week. The hold-up may have been related to SARFT’s recent crackdown on box office misreporting and under-reporting. Apparently new systems are currently being implemented to prevent the widespread practice of selling tickets for one film and then writing the name of another film on the face of the ticket. This sort of manipulation allows monies paid by the ticket buyer for one film to be funneled to another. When the numbers were finally released they showed Warner Bros’ Sherlock Holmes: A Game of Shadows to be last week’s big winner at the mainland Chinese box office with a decent $10 million gross. 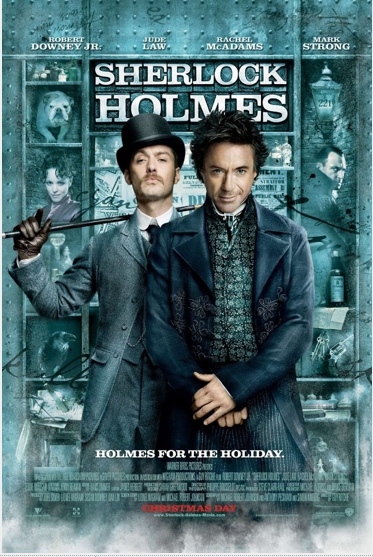 This may come as a bit of a surprise, given that the original Sherlock Holmes movie was viewed by some as a relative flop in mainland China when it was released in 2010. NYMag, for instance, pointed out that while Avatar earned in China about one-third of what it made in the US, the original Sherlock movie’s China release earned just one-eighteenth of its US box office haul. Perhaps the first film’s underperformance can be attributed to China’s unfamiliarity with the Sherlock Holmes brand, but Sherlock Holmes: A Game of Shadows has had no such marketing woes. The sequel is on pace to significantly outdo the original at the Chinese box office. In second place with $7.3 million was Dante Lam’s newly released thriller The Viral Factor, reportedly Taiwan megastar Jay Chou’s last starring role in an action movie. The film also stars Nicholas Tse in yet another gritty and nuanced “bad guy” role. Stylish Hong Kong director Lam, whose most acclaimed film is 2008’s Beast Stalker (also starring Nicholas Tse), is known for making his films chock full of car chases and explosions — not to mention the occasional male actor literally crying his heart out. The rest of the Chinese box office leaders include the previous week’s top film, The Great Magician (starring Tony Leung and Zhou Xun), the animated film Pleasant Goat and Big Big Wolf 4, and the 2012 installment of the All’s Well Ends Well series, the Chinese New Year comedy that stars many of Hong Kong’s biggest stars. With an opening weekend tally of just $2.2 million, an 80 percent drop from the 2011 edition’s first week result, the numbers for All’s Well Ends Well 2012 don’t bode well for continuation of the series. The Taiwanese romance You Are the Apple of My Eye, while dropping five places to the eighth spot at last week’s box office, continues its strong showing, having already grossed more than all 2011 Taiwanese releases in mainland China combined. Meanwhile Zhang Yimou’s war epic The Flowers of War has wound down its theatrical run on the mainland with a cumulative gross just below the $100M mark. Assuming the reported numbers are accurate, even though Flowers stands as the 3rd highest grossing film ever in the PRC, the film’s initial theatrical returns will fail to repay even half of its $90 million production cost. Cumulative box office for the week was $40.8 million, up by 13 percent as measured in dollars (up 7 percent in Chinese yuan) over the same period last year. This would be a nice bump in most territories, but given that the mainland’s screen count has risen by 50 percent since January, 2011, theater operators will undoubtedly be disappointed with the weekly result. This entry was posted in Analysis, Box Office Reports and tagged Albert Wang, All's Well Ends Well 2012, box office misreporting, China box office, China's box office, Dante Lam, Jay Chou, Nicholas Tse, Rob Cain, Robert Cain, Sherlock Holmes: Game of Shadows, The Great Magician, The Viral Factor, You Are the Apple of My Eye by chinafilmbiz. Bookmark the permalink. The undereporting of cinema income practice must be a great concern for both Chinese and foreign producers and distributors. The cinema owners/managers must be getting a decent kickback I would expect to favour one film over another. They could also just be keeping the lot and throwing away ticket stubs. eg. print 1000, sell 700 but only put 500 worth of money in the cash box, taking the total cash for 200 tickets home that night. Simply reprint that thousand and present 500 numbered tickets unsold not 300. Maybe it’s even easier than that with no physical proof having to shown, I’m not sure how it goes here. I would think SARFT will send out their spies and inspectors to make an example within the industry, but will we hear of it, or will they jump in on the feeding of the fraud funds also?. Serious as it is I have to laugh at how they do crooked things in China, and just keep doing it, even after being caught.